After spending most of November impatiently waiting for the month to end I was super excited when December rolled around. Time to start listening to festive music and get to work on the Christmas crafting. Now the month is racing by, and with just 2 weeks until the big day, if you’re anything like me you haven’t quite got all the projects finished that you had planned. But there’s still time to get all your lovely What You Sow presents delivered and I’ve got a handy idea for a super quick 20 minute craft project that you can use to decorate just about anything this Christmas; your home, your tree, your presents. The project comes from my addiction to pompoms combined with my love of the puff stitch. 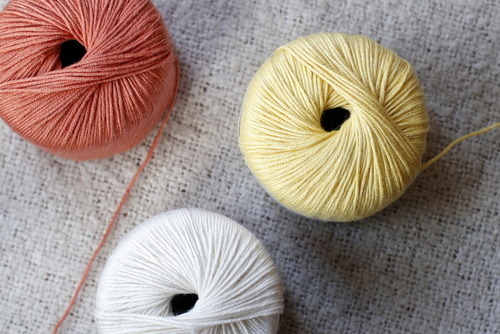 Plus, the fact that the wonderful pompom ribbon in the craft shops never seem to come in the right colours. 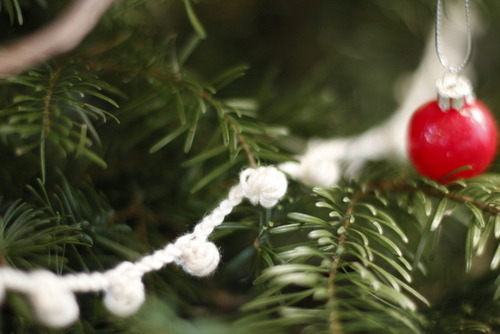 Allow me to introduce: the crochet pompom garland. 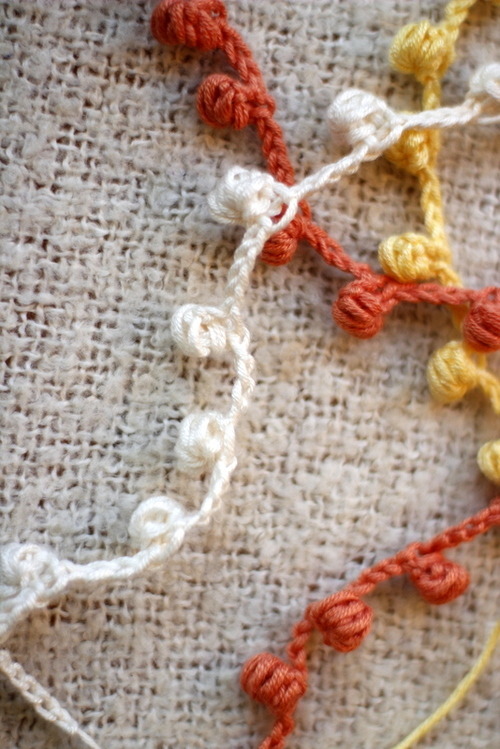 Chain 10, then join with a sl st to the first stitch to make a loop. 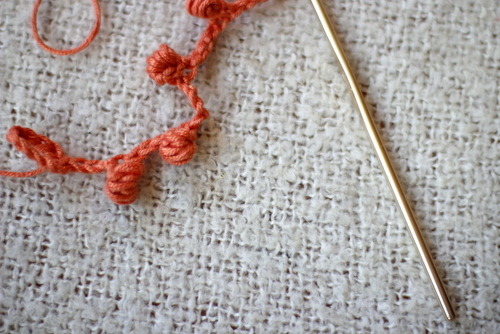 Now for your first puff stitch which you’ll work into the second stitch from the hook. yo, insert hook into second stitch from hook, yo, pull strand through, do the same 4 more times, then yo and pull the yarn through all 11 loops on the hook. Sl st to close, then sl st into the stitch on the chain just before the one you’ve been working into. Carry on as ** until garland is the desired length. Chain 15 then join with a sl st to 10th stitch from hook to create a loop. Make more in the rest of your favourite colours and if you’re getting your craft on, why not try the air dry clay Pinecone decoration too? Hang around your home and then pop Mariah on the stereo. You’ve earned it!